A huge thank you to staff and volunteers who gave up their weekend and helped make this years appearance at Wool Gathering a great success. We were able to promote our FREE entry promotion and sold embroidery kits and cards galore. Even bigger than last year the event took over all floors of the Leisure Centre! The Wool Market was downstairs with a wide range of exhibitors selling and displaying lots of wool related crafts. More stalls and Wool Gallery art displays on the ground floor. Outside was the Westmorland Agricultural Society’s livestock marquee and food stalls. 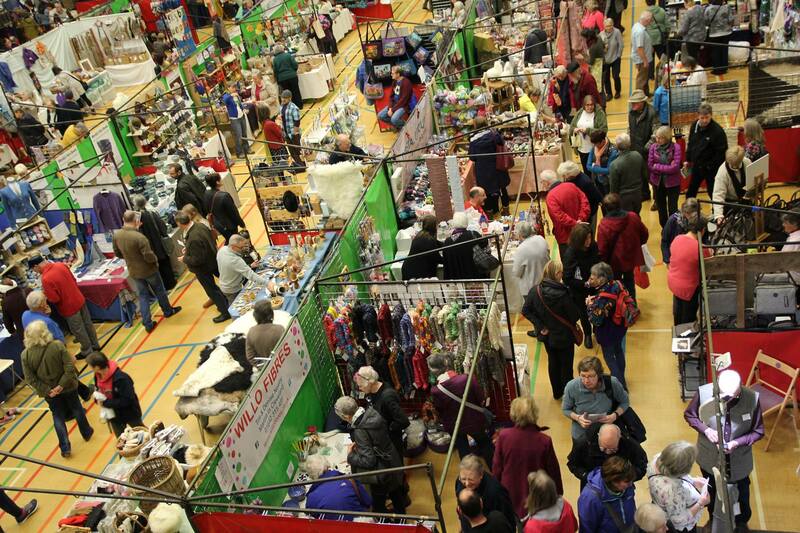 We were upstairs, ideally situated on a walk through to stalls, exhibitors, art and the popular Knit and Natter area! Volunteering at the Quaker Tapestry is a very rewarding experience where you can meet new people, have fun, share your knowledge, learn new skills, make new friends, take on a challenge and share the fascinating stories within the Quaker Tapestry. 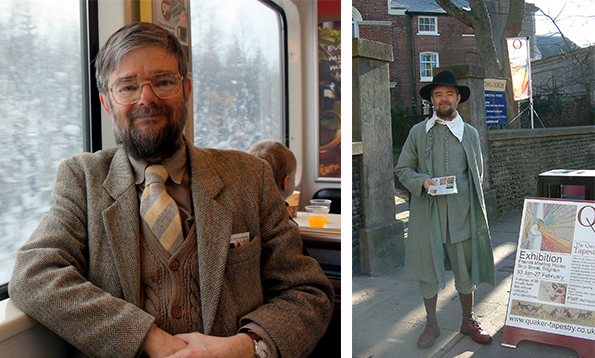 Our volunteers are vital to the success of the Quaker Tapestry, giving many hours of their time, commitment, expertise and dedication each year. 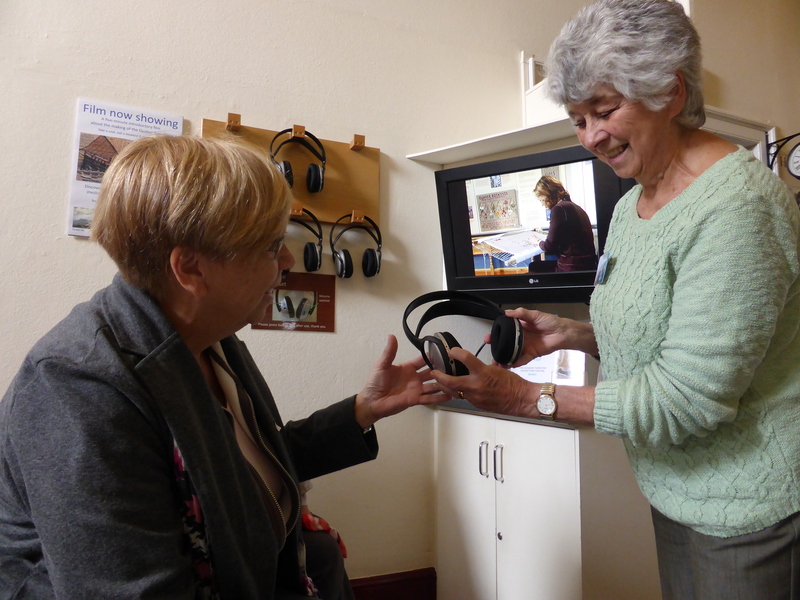 Without our volunteers we would be unable to provide the superb service that visitors enjoy so much. We love to hear from interested volunteers, in any capacity. Please contact us or read our volunteer blogs to get a flavour of what our volunteers do.